I am always for appropriate book for my three daughers. My 12 yr old didn't want to read any of the books in this series, so I read them to my 6 & 4 yr old daughters. The themes of loyalty, true friendship, forgiveness, and hard work are great, though a child will most likely be interested in the slight mysteries involved in each book. What I didn't like is some of the word choices that were used in the books. Things like 'Hurl,' 'dweeb,' and also referring to a boy as 'hot,'. I think these words are inappropriate and shold not be used in Christian juvenile fiction. 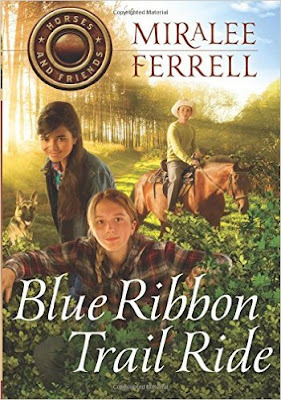 Other than that, any horse-loving, reading girl(or girl in general) will enjoy reading about Kate's adventures in the "Horses & Friends" series. thank you for the chance to read not only this one, but all 4 in the series.